Girl’s Own Store opened in 2005 in the market town of Bridport, Dorset. 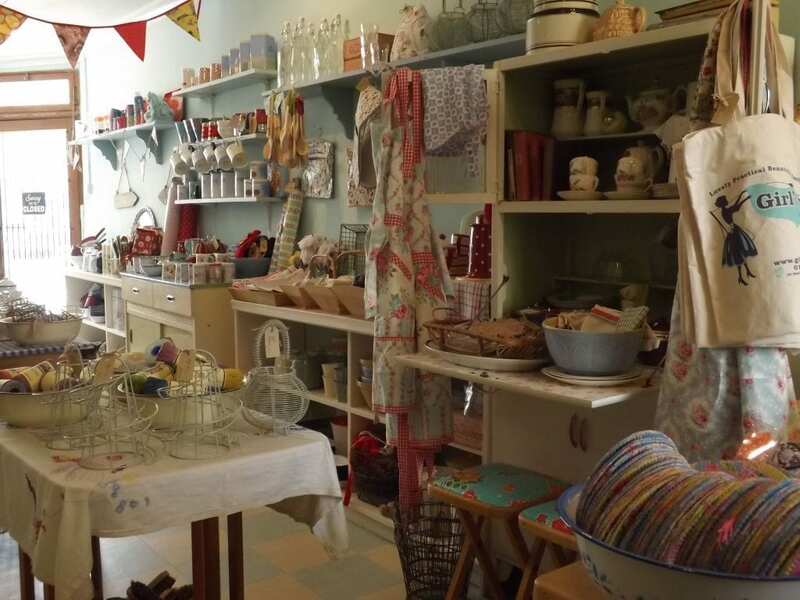 The bricks and mortar shop closed in October 2016 but Girl’s Own Store continues online and at occasional outings to vintage and craft events around the South West. Following the purchase of a vintage Sock Knitting Machine the emphasis has now shifted to socks – lots of socks. Socks with a vintage look and feel using naturally hand dyed yarn. Alongside the socks you will still find a selection of goods have stood the test of time; ‘must-haves’ for the vintage home, with the emphasis on domestic usefulness as well as beauty, original vintage items and hand made products, from tea cosies to traditional rag rugs made from recycled materials. Girl’s Own Store was founded by Sara Mahon, with a background in fashion, gardening, vintage trading, a love for ‘old stuff’ and the hand crafted.